Wesley Snipes, perhaps best known for his role as the famous vampire hunter in the Blade series, is an actor as well as a martial artist. As Blade, he was a conflicted anti-hero; a human with the all the abilities of a vampire without any of their drawbacks. He used these strengths to protect humans from vampires. Blade was a comic book adaptation. 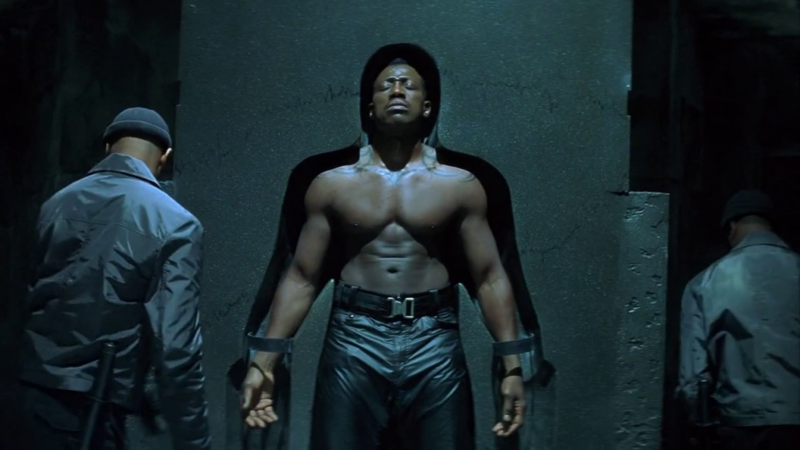 To properly portray the role, Wesley Snipes had to look the part – tough, strong, with incredible upper body strength. While the original Blade movies were released 20 years ago, the workout Snipes used to get in shape is still just as relevant. With rumors of future Blade films starring Snipes swirling around the Marvel Cinematic Universe, Snipes may very well use the same workout to get back into shape soon. At 5’9”, Snipes is relatively short, especially when compared to other superhero actors gracing the big screen. However, what he lacks in height, he makes up in muscle mass, weighing in at approximately 180 pounds. There is no denying that Snipes looked great when he was hunting vampires 20 years ago. While he is now 56 years old, he still looks just as amazing. Regardless of the role, you can count on the actor to bring strength to the part. Despite his age, he still has 16.5-inch biceps and is still in incredible shape. His secret? A combination of martial arts training, diet, and an exercise regime. While you may not see the exact same results as Snipes, you can use the same specific exercises to target desired areas, like your arms, or to find the perfect workout to get in shape and have fun doing it. Make sure you check with your doctor before starting any new training program, especially if you have any pre-existing conditions. When Snipes is preparing for a role, he trains with cardio, weight training, and stretching. The volume is typically high, with him working out four to six days a week. If you are just starting out, you may want to complete the intense workout four days a week and use the other three days for stretching and endurance exercises, like those found in Pilates and yoga. Treadmill – begin by walking briskly and work up to a moderately paced jog. Keep jogging for 10 to 15 minutes. Cool down by walking briskly as you slow the pace of the machine. Deadlift – with the appropriate weight on either end of the barbell, stand with your midfoot beneath it. Bend over, keeping your back flat and your feet shoulder width apart. Grab the bar with both hands, also keeping them shoulder-width apart. Keep bending until your shins are practically touching the bar, then raise your chest up and straighten your lower back. Inhale while holding the bar, standing up with the weight. Lock your knees and hips and hold for as long as you comfortably can, and then release. Do 10 reps of five sets of deadlifts. EZ bar bicep curl – stand up straight with the appropriate weight on either end of an EZ curl bar. Your palms should be facing forward and somewhat inward. Be sure you keep your elbows close to your torso as you exhale and curl the weights forward. You should only be moving your forearms as you continue to lift the weight. Once your biceps are fully contracted the bar should be at shoulder level. Hold the position and squeeze your biceps before inhaling and slowly lowering the bar down. Do 10 reps of three sets of these. Barbell rows – with your mid-foot beneath the bar, bend over and grab it. Keep your palms down and avoid gripping the bar too tightly. Next, keep your hips high and unlock your knees, lifting your chest and straightening your back in the process. Pull the bar against your lower chest and hold the position for a second before exhaling and slowly lowering the bar back down to the floor. Do 10 reps of three sets of these. Decline cable chest flys – at the cable crossover machine, attach the pulleys to the top of the cable and hold one in either hand. Position yourself in the middle, taking one step forward. With one foot in front of the other, lean forward and bend your elbows. The handles should be extended out to your sides. Press them down and bring them across your chest until they touch. Slowly release. Complete 20 reps of three sets of these. 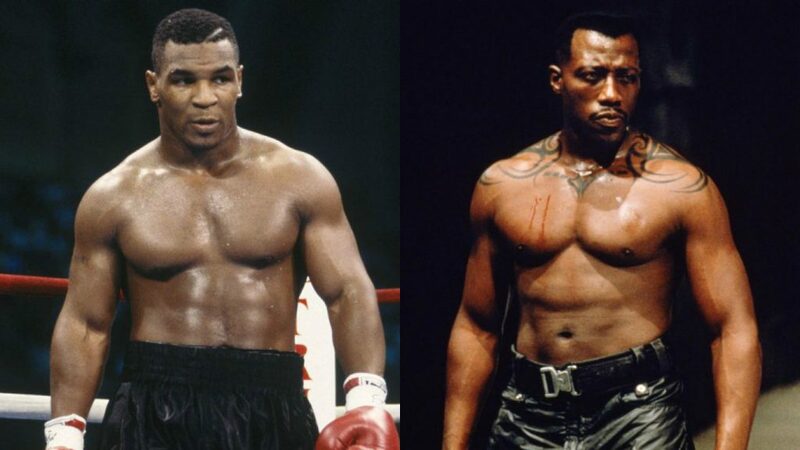 In addition to his frequent workouts, Snipes owes part of his physique to his long-time martial arts training. He began when he was just 12, and has since become proficient in Karate, Kung Fu, and Capoeira. Training in these field has helped him develop flexibility and endurance. If you are a vampire hunter in training, you should consider picking up at least one marital art to compliment your existing workout. Snipes also finds that practicing these arts helps keep him grounded, less stressed, and better able to cope with life. When Snipes is preparing for a role, he combines intermittent fasting with cyclical ketosis and calorie counting. Celebrities like Hugh Jackman, Terry Crews, and Dwayne “The Rock” Johnson have all used intermittent fasting to help bulk up. This type of fasting is done in eight-hour cycles, where you fast for 16 hours, only consuming food during an eight-hour period. Cyclical ketosis plus calorie counting requires a lot of disciplined eating. It is best if you consult with a nutritionist if you want to go this route. Ketosis involves cutting carbs and sugar from your diet, while focusing on eating mostly fats and proteins. Generally speaking, a keto diet consists of fewer than 30 grams of carbohydrates per day. Complete ketosis can be reached within 10 days of starting your diet. Once you hit ketosis, you may notice that your muscle mass develops faster and you lose weight more rapidly. If you want muscles like Snipes, a combination of diet and exercise are key. Trying out the keto diet while cutting calories and increasing the amount of exercise you do is the best way to build muscle and stay fit.